Aberdeen, UK, September 3, 2013 --- Enclosure designs for protecting offshore equipment are evolving rapidly to combat the widespread problem of corrosion, and to meet industry demands for higher levels of safety and reliability, and new functionality. At Offshore Europe 2013, Intertec is highlighting advanced enclosure materials and fabrication techniques for offshore applications that provide solutions meeting both current and projected future trends. Among the demands satisfied by enclosures made from Intertec's unique GRP (glass reinforced polyester) based composite materials are superb resistance to the corrosive forces of the offshore environment, an ability to make pressurised explosion proof (Ex p) enclosures in any size - not just the small types that are commonly available - as well as the ability to withstand blast forces and jet-fires. All oil and gas platforms have 'hazardous areas' where the atmosphere is potentially flammable and electrical equipment must be made explosion proof. Traditionally, such equipment is installed in protective 'flameproof' (or Ex d rated) enclosures. One marked current trend offshore is a move away from flameproof cabinets towards other types of explosion proof protection such as Ex e (increased safety) or Ex p (pressurised). This is because of numerous issues including corrosion - most Ex d enclosures are fabricated from metal - problems from the build up of condensation, and a need for routine maintenance to ensure good sealing. Intertec's Ex p or Ex e enclosures have an intrinsic performance advantage over similar metal enclosures for the offshore environment. This stems from the use of a composite 'sandwich' material with high-performance GRP sheets enclosing internal insulation, and environmental protection provided by a gel-coat surface layer. Intertec's GRP material is almost as strong as stainless steel yet is some 75% lighter - which makes it particularly desirable for offshore use. This material offers exceptional resistance to ‘corrosion’ - it does not rust or degrade in any meaningful way, allowing maintenance-free lifecycles of 30 years. Another benefit of Intertec’s unique approach is the surface gel-coat, which is around an order of magnitude thicker than the protective paint coatings sprayed onto metal. Intertec has documented examples of enclosures and cabinets that have survived over periods of 30 to 40 years in petrochemical environments - with local atmospheres containing corrosive chemicals such as sulphuric acid. Another key attribute of the material - compared to metal - is very high thermal resistance. Internal insulation greatly reduces the energy required to heat or cool equipment. Intertec's composite fabrication technique also makes it easy to build enclosures that have no ‘thermal short cuts’ - conductive links between interior and exterior - avoiding cold-spots (or hot spots) that lead to condensation. This can be much more difficult to achieve for any metal-based enclosure. The composite material can also be prepared and treated in numerous ways to deliver other useful properties for offshore applications. 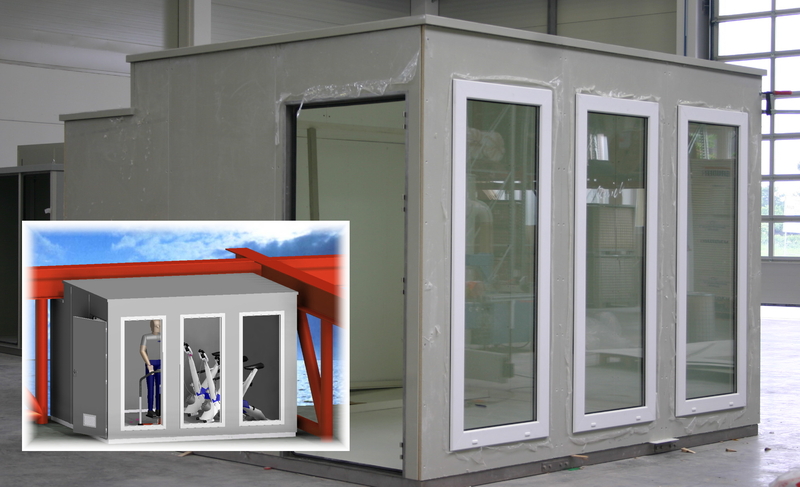 Enclosures can be constructed to withstand extremely high pressures such as offshore winds (240 km/h), for example, or the blast pressure of an explosion. Another possibility - and one which is expected to be subject to more regulation in the near future - is the ability to utilise different insulation materials and construction techniques to construct higher-performance fire-resistant walls to separate hazardous and non-hazardous plant areas. Intertec's walls can even protect against rapid-temperature-rise hydrocarbon pool or 'jet' fires – resulting from the continuous escape of pressurised flammable media. This innovative fire-resistant enclosure technology has recently been tested and demonstrated to maintain internal temperatures below 60 degrees C for periods of two hours, for example. 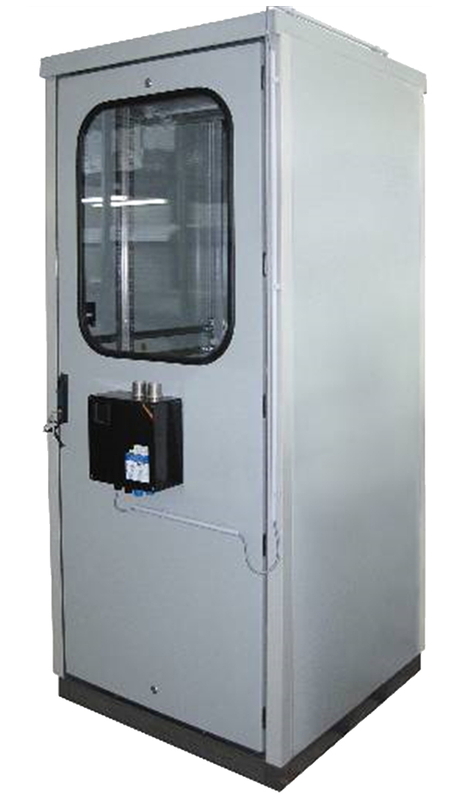 For added versatility, Intertec is able to make these advanced enclosures in any size. Flameproof enclosures have been commonly used for offshore electricity power supplies for example, but one trend today is to replace local gas turbine power generating equipment with high voltage supplies cabled from the shore. The transformer and other electrical equipment required for this application can be quite large, and Intertec is able to easily provide corrosion-proof and maintenance-free enclosures protected by Ex p or Ex e techniques for such applications. The lightweight corrosion-resistant fitness room for a North Sea platform fabricated by Intertec using high-performance GRP composite materials. Cabinets using Ex p pressurisation explosion proof safety are increasingly preferred for offshore applications compared with flameproof types, says Intertec.